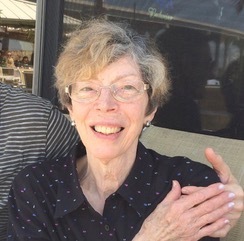 Judith (Earley ) Jakowski age 78 , of 58 Tower Hill Rd in Chaplin passed away Monday, January 28th, 2019 at Amherst, MA. A longtime resident of Chaplin, she was the daughter of Phillip Earley and Florence Earley . Survivors include: son Peter Jakowski (Charlotte Bennett), daughter Kimberly Jakowski and daughter Jennifer Jakowski (Joshua Carreiro); grandchildren Peter Jakowski, Gabriel Carreiro and Miles Lindell; sister Sandra Murphy, twin sister Janice Larkin and brother Stephen Earley. A Mass of Christian Burial will be held at St. Philip Apostle Church on Thursday January 31, 2019 at 10:00 am with assembly at the church, 64 Pompey Hollow Rd. Ashford, CT 06278. Judy was employed as a RN for most of her adult life and was cherished by her patients for the loving care she provided. She was deeply committed to her faith in God and church community. Above all, Judy was a devoted mother and grandmother who prioritized her family over all else. In lieu of flowers, donation can be made to Hospice of the Fisher Home in Amherst, MA and Thomas J. O’Connor Animal Control and Adoption Center in Springfield, MA.